Awards Season is set to end this Sunday with the 86th Academy Awards (a.k.a. ‘The Oscars’) and the stars will be out in full force, donning their finest garb having spent hours preening their faces and coiffing their hair. Of course, us mere mortals will simply be watching the ceremony at home in our pyjamas, possibly scoffing on some popcorn in a nod to the wonders of the silver screen. Still, we can live vicariously through the glamour of the winners and losers, can’t we? Thinking about the Oscars and the upcoming Jasmine Awards (for which I need to pick myself an outfit) led me to ponder over which perfumes are best suited to formal occasions. Most of the time I’m of the belief that one should wear whatever they heck they want when they want, but in situations where dress codes are enforced and one has to be smart, it can be beneficial to pick out a scent that is suitably dapper to match. For this post I’ve put together some of my favourite ‘smart’ perfumes for black tie or formal occasions. They range from the smart casual to the well-tailored and the dramatic, and between them they serve as a mini-guide to picking that perfect scent for a special occasion. Most are unisex so are suitable regardless of whether you’re a guy or a girl and can be paired with a suit, tux or fancy dress to ensure that you’re looking good and smelling fine. 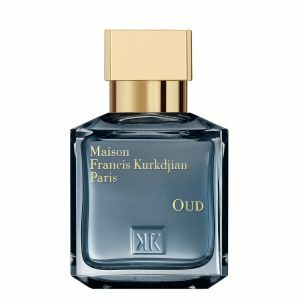 Maison Francis Kurkdjian’s superbly blue take on the heavy, exotic and distinctly middle-eastern note of oud is not only one of my all-time favourite perfumes (I would definitely rank it in my top 5 – a very high accolade, indeed), it’s also my go-to scent for formal occasions because it feels best suited to the most fashionable and smart clothing. There’s just something so effortless about how Kurkdjian’s OUD presents itself, almost as if it fell out of bed in black tie. 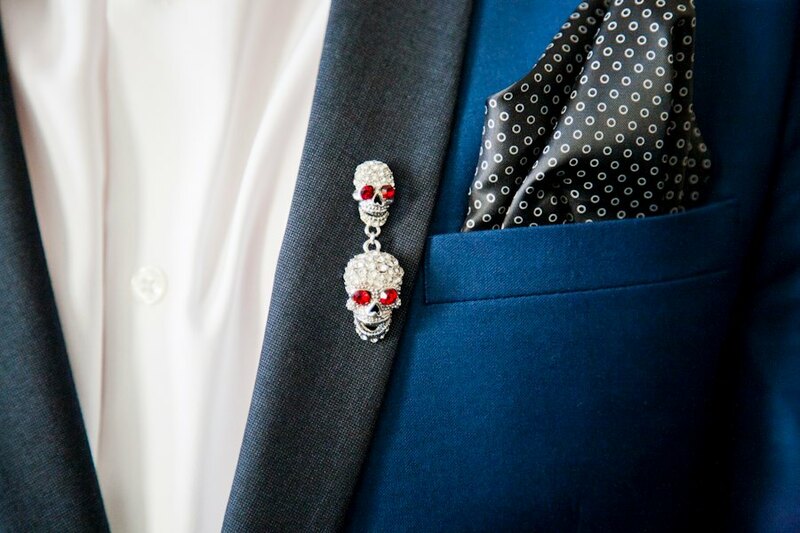 I chose to wear OUD to compliment the dapper blue suit (from NEXT of all places), Alexander McQueen bow tie and Butler & Wilson skull pin (all seen above) I wore for my Father’s wedding last year. It matched perfectly and very much felt like the final accessory needed to complete my outfit. 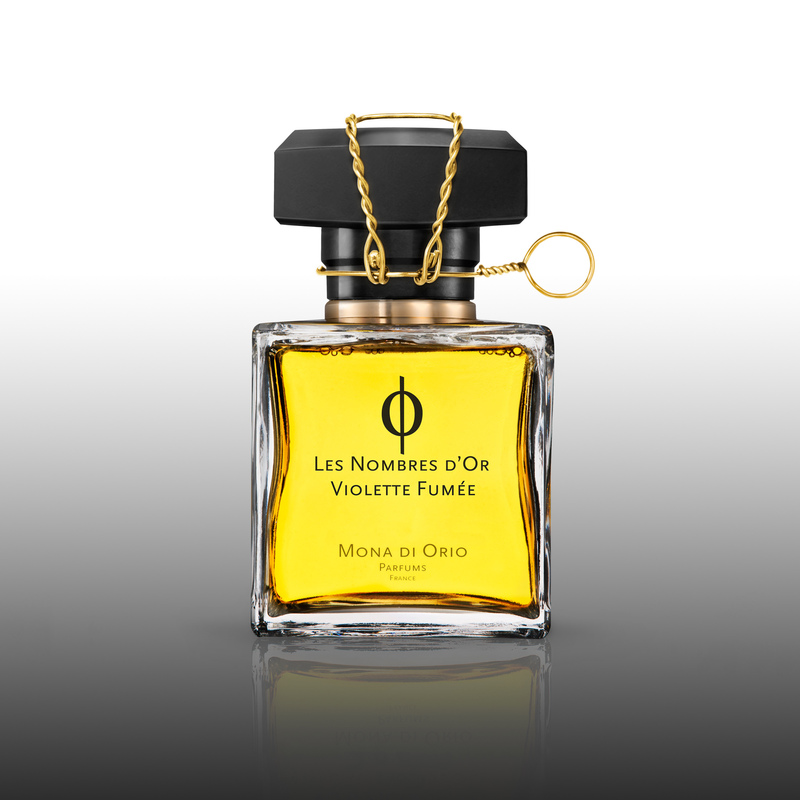 OUD pairs a leathery and sandy oud with candied citrus and musk. The result is an accessible perfume that feels truly luxurious without being particularly heavy or oppressive – perfect for those high-fashion moments. By Kilian may have gone off piste creatively of late but their earlier oeuvre of scents is still, for the most part, rather remarkable. One of their most noteworthy works is Back to Black – a rich an intense honey fragrance with strong tobacco and cherry accents. When I reviewed it, I described it as a “truly noir” fragrance because it was dark, glamorous and broody in a ‘film noir’ kind of a way, making it nicely suited to black tie. 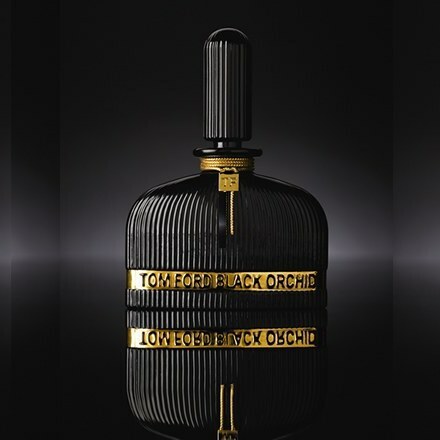 Back to Black is an indulgent perfume to be worn with a simple black tuxedo or understated black gown. It needs no bells, whistles or embellishments because it is already so captivating and complex. Simple is therefore the way to go and perhaps the only thing that will make one’s all ‘noir’ ensemble complete is a tiny glimmer of Butler & Wilson bling. Sometimes dressing up isn’t just about looking good, it’s about demanding attention and letting others know (and letting them tell you) how mighty spiffy you look. I’ve been known to like a bit of attention every now and then (a shocker, I know), and it’s always good to know that people think that you scrub up rather well. There’s also something wonderful about wearing something so excessive and outrageous that heads have no choice but to turn. Mona di Orio had a unique way of taking familiar notes or themes and turning them on their heads to create something new. It’s no surprise then, that her take on violet (a usually sweet and powdery scent) is something completely unexpected. Violette Fumée is a green and earthy take on the flower with dark and smoky hints of fresh tobacco. All-in-all, it’s an intriguing composition that feels impeccably pieced together. For this reason, Violette Fumée is the perfect accompaniment to an exceptionally tailored suit. The clean lines of strong woods and the soft fabric-like texture of the violet come together perfectly to evoke the craftsmanship of a bespoke three piece suit made by a Saville Row tailor. I like to wear this one to work when I have a big meeting or presentation. It’s quiet but it exudes a soft sense of confidence that is both comforting and commanding. I’d easily classify it as one of Mona’s very best creations. I haven’t spent too much time with Atelier Cologne’s Cédrat Enivrant, but having reviewed it earlier this week, the scent is still on my mind. It is, as you would expect from Atelier, a vibrant and crisp citrus scent (inspired by the French 75 cocktail, which must be very drinkable if the scent is anything to go by) with the longevity and tenacity required to make for a truly satisfying cologne – in short: I’m very fond of it. 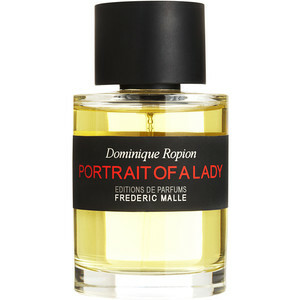 What I most like about this contemporary cologne though, is the fact that it just feels so wonderfully relaxed. Cédrat Enivrant is the kind of scent that you would pair with a smart casual look – a blazer and jeans type type of ensemble – when you had to attend a more informal and paired down affair. I’m hoping that I get invited to a nice garden party or two this summer, just so I can rock this one without shame. Tom Ford does ‘dapper’. That’s his thing. On a regular basis I will find myself perusing the brand’s website, ogling the gorgeous velvet suits in shades of deep burgundy, bright teal and even shocking pink. Of course I could never afford an item of clothing made by Mr. Ford but I can channel the spirit of his fashion through one of his many perfumes – a number of which feel very ‘black tie’. The most obvious contender is Black Orchid. If there ever was a scent more suited to formalwear (whether suits, tuxes or gowns), Ford’s debut perfume is it. Black Orchid is a dramatic flower in its last golden moments, just as the mushroomy odour of rot sets in, wrapping everything in a veil of vanilla and spice. The thing is as loud as a foghorn and about as subtle as a brick, but it also oozes glamour and is definitely going to get you noticed. Wear this one if you can handle the admiration. 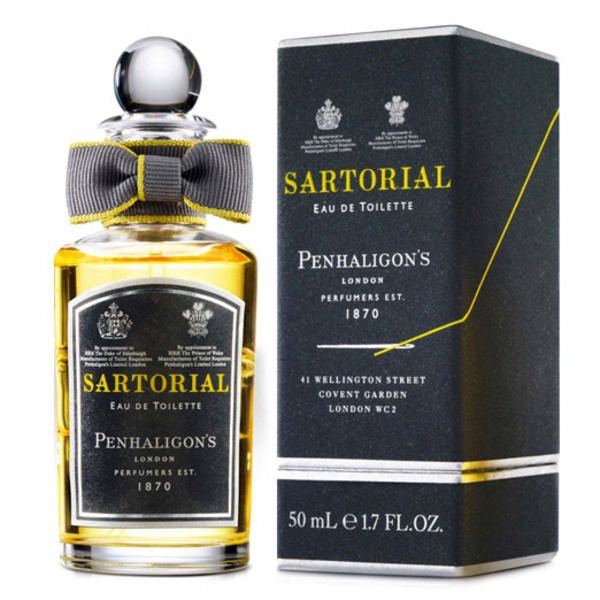 This wouldn’t be a proper guide to scents for formal wear if one was not to include Sartorial by Penhaligon’s. Inspired by the workroom of a Saville Row tailor and created by renegade perfumer Bertrand Duchaufour, Sartorial is a thoroughly modern take on the fougère that sees classic ingredients of lavender and coumarin paired with the steamy smell of fabric irons. To my nose, Sartorial is the perfect perfume to accompany a throwback look with a modern twist. It’s the olfactory equivalent of a Harris Tweed jacket (bought from Topman) paired with a patterned bow tie that doesn’t exactly match. It’s for the modern man who wants to dress in a vintage style. I’d classify it as one of the best masculine’s around and hits the spot when one is looking for a mix of the old and the new. What are your favourite black tie perfumes? What perfumes do you think are smart and/or glamorous? What scents do you wear to grab attention? What is your go-to smart casual perfume? Image 1 via buncombe.co.uk. Image 2 via cologneboutique.com. Image 3 via theleatherscentblog.com [edited]. Image 4 via akafkaesquelife.wordpress.com. Image 5 via monadiorio.com [cropped]. Image 6 via etiket.ca. Image 7 via aufeminin.com [cropped]. Image 8 via smallflower.com. Posted in Article, Atelier Cologne, By Killian, Editions de Parfumes Frederic Malle, Maison Francis Kurkdjian, Mona di Orio, Penhaligon's, Tom Ford and tagged Atelier Cologne, Back to Black, Black Orchid, Black Tie, By Kilian, Cédrat Enivrant, Cologne Absolue, Dominique Ropion, Editions de Parfums Frederic Malle, Francis Kurkdjian, Kilian Hennessy, L'Oeuvre Noire, Maison Francis Kurkdjian, Mona di Orio, Oud, Penhaligon's, Portrait of a Lady, Sartorial, Smart Casual, Tailored, Tom Ford, Violette Fumée. Bookmark the permalink. I totally agree with Violette Fumee choice. For me a black tie scents are compositions like Prada Amber Pour Homme or Infusion d’Homme, for example. Those are good choices. They work nicely more as casual scents for me, but I can see the appeal of them for formal wear. Great idea (and timing) for a post. I think it can be fun picking a perfume to match an occasion. I particularly love your choices of Back to Black, Sartorial and Violette Fumee and PoaL is my black tie/gown scent. You rock the hell out of that PoaL, Tara! A fine selection, Roberto. I’m definitely with you on the Geranium Pour Monsieur front, it’s one of my favourites and would be great with black tie. Lové this post! Excuse thé french accents everywhere but àm on a french iPad and can’t change thé settings. Hâve triéd Oud, POAL, Back To Black and Black Orchid and définitely concur with your selections. I would also consider Agent Provocateur for à bit of femme fatale glamour with a slightly naughty edge and for a more élégant, formal evening an overdose of Bas de Soie. Also – a blast of Shalimar never goes astray. I really like your suggestions! Shalimar is always great as you say and I can see that the Agent Provocateur would definitely have a femme fatale edge. Bas de Soie is interesting to me. The first time I tried it I wrote it off as a more subtle No 19, but it’s actually a rather stunning and sharp iris. A great choice for formal wear. POAL all the way for me too. I would also consider Hasu no Hana by Grossmith for an altogether more English affair. Hasu no Hana is an interesting choice! I like that it brings a more British feel. Voile de Fleur would definitely pack a punch on a formal occasion. It’s a smartly dressed, creamy floral – great stuff! i submit, if i may, Black Rosette by Strange Invisible Perfumes; Citron Tabac from Providence Perfume Co.; Italian Smoke from JoAnne Bassett; and Moondance from Anyas Garden. You absolutely may! Thank you for your submissions. I haven’t had good experiences with all natural perfumes in the past (many feel ‘flat’) but I shall sniff these if I come across them. How about Arsenic by Tokyo Milk Parfumarie Curiosite for an attention-grabber? I’ve not tried it but the name has me intrigued! Try it! 🙂 Absinthe-infused vanilla salt sprinkled with crushed fennel. Sharp as a knife on the first intake, then blissfully creamy… a guilty pleasure! It is my favorite of the black series they released in 2011. The brand itself, originating from Denver, CO is very appealing with its founder and CEO Margot Elena being the one and only nose and artist behind all of Tokyo Milk creations, if I am not mistaken. I love your choices of Sartorial and Back to Black, Thomas. I would also include Chanel Pour Monsieur and Givenchy Gentleman. For smart casual, I would probably go with Guerlain Vetiver. For attention-grabbing, Bvlgari Black comes to mind. Gentleman, Vetiver and Black are great choices. Guerlain’s Vetiver really cannot be beaten, can it? That’s a lovely connection to have! 2. Tiffany for Men by Tiffany & Co. I feel most of the sophisticated, urbane,black-tie fragrances are by the famous jewelry houses! ; except for Purple Label. I really like Jaipur Pour Homme, Richard. Fab choice! Furthermore, for some odd reason, this fragrance reminds me of, or is very close to, JAIPUR POUR HOMME by BOUCHERON; the one mentioned above…this one just seems to be a spicier iteration…hmmm? I DO VERY MUCH LOVE THIS NEWEST PRADA! You know, I don’t think that I’ve tried the Extreme but I did really like Luna Rossa. Most of the Prada scents are very good indeed. I shall make sure to try Luna Rossa Extreme next time I’m in town.